So does Inception pass the Bechdel test, a test that Nolan’s earlier works like “The Dark Knight” or ‘The Prestige” have failed? 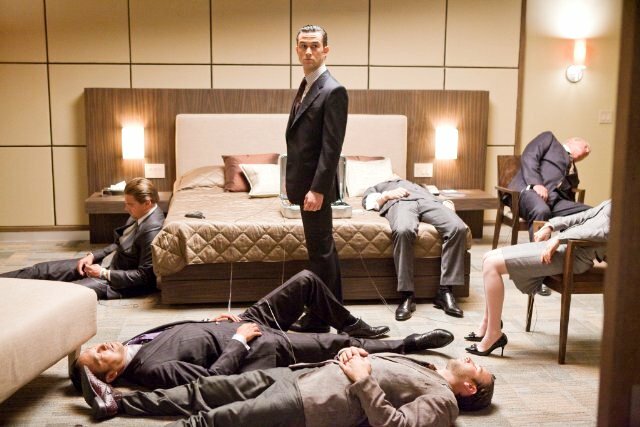 Inception has a reputation of becoming inscrutable, or most critics believe this. What most hyped, inscrutable films can legitimately be criticized about is its depiction of gender, since women in films are underrepresented after the era of Julia Roberts. Nolan could do a lot better in writing roles for women, since they’re mostly at the back seat, but I’m grateful enough for what he’s given us. From “Memento,” Natalie (Carrie Ann Moss) avenges her husband’s death by playing cruel tricks on Leonard (Guy Pearce). In “The Prestige” are Sarah (Rebecca Hall) and Olivia Winscombe (Scarlett Johannson), well-written polar opposites of tragedy and survival (p.s. Actually, let me retract that. If Sarah was gonna kill herself, at least show her relationship with her child and nephew before she does so. Or at least show said relationships more blatantly. Great performances though. I’ll defend Scarlett’s performance but not with my life). His two Rachel Dawes have either given us tough love or sunshine. But before we put check marks on the Bechdel test, let’s now discuss the characters in question. There’s Mal (Marion Cotillard), Dom Cobb’s (Leonardo di Caprio) wife who commits suicide, believing that doing so is just another kick up from the dream world back up to reality. And as Mr. Pattern Ramin Setoodeh has pointed out, this is suicidal wife number 3 for Leo. (p.s. As Cobb says, Mal as a femme fatale is his projection, man’s projection. Cobb incepts an idea within Mal’s head that her world isn’t real, an idea that she carries through the dream levels then up to the real world. If we take the plain interpretation of the film, the negative ideas the female might have and the consequences of said ideas is because of man’s doing. Mal That either makes men monsters or women passive or both, take from that what you will. Another theory about Mal’s presence in Cobb’s dreams – she functions as Cobb’s antibodies, separating Cobb’s subconscious from the subconscious of his marks. She prevents him from stealing Saito’s (Ken Watanabe) ideas. She stabs Ariadne (Ellen Page) for breaking the rules. She shoots Robert Fischer Jr. (Cillian Murphy) so Cobb won’t do an inception on him like the latter did hers. In essence, she’s protecting Cobb from himself. If this is correct, Ariadne’s plea to Cobb to forget Ariadne might have been the wrong move. With the IVs involved with sharing dreams, it might just be biologically possible that Mal with her own free will actually exists within Cobb’s head. As Cobb tells his father(in-law?) Miles (Michael Caine), Mal is powerful enough to interfere with Cobb’s work and ability to structure other people’s dreams. And we go to Ariadne, Miles’ student in architecture. I’ll go out of my way to say that Ellen Page’s performance is more geared towards reaction instead of original action, as written for her role. Nonetheless, Nolan beautifully misdirects us with Ariadne, since I viewed her inquisitiveness with suspicion. Red from Brad’s discussion, among others believe that she’s Miles’s spy. Cobb opens up to her, she’s genuinely concerned about his mental well-being, there’s a bit of sexual tension between them that thankfully didn’t get more blatant. She uses the information to hustle herself into Cobb’s team and as far as we know, hasn’t told any other character within or outside the crew. In Devin Faraci‘s ‘Inception as metaphor of filmmaking’ post, he posits Mal as the muse and Ariadne as the screenwriter. As I said earlier, Ariadne adapts this predilection of telling Cobb what to do, in a sense, directing him. Ariadne and Cobb both feed off each other – he exposes, she regurgitates, he practices what she preaches. Mal is Cobb’s conscience since she stops him for what he shouldn’t do or Ariadne is his conscience for telling him what to do, or if you believe Virgil in Brad Brevet’s site, Mal and Ariadne are the same person. Under this interpretation, the female’s function is to help the male, no matter how much Cobb tries to make it look like the other way around. Nathaniel Rogers uses the phrase ‘window dressing,’ and I’m seeing that in other reviews too. Now that that’s over. Check one – Mal and Ariadne have names, overtly symbolic ones and no family names but names nonetheless. Check two – They meet three times. The last time is in the fourth dream level, where they don’t even talk to each other. The second time they meet is in Cobb and Mal’s dream basement/anniversary suite and talk. Their conversation, check three, is where it gets complex, especially since there’s no script/DVD of this movie that’s readily available to me. I don’t recall either of them saying Cobb’s name nor a masculine pronoun. If we take the plain interpretation of the film, it’s obvious that they’re talking about him, and even struggling to have him on their respective side. I don’t wanna sound like an apologist but they’re talking about themselves too, a battle between Mal, the dream world and Ariadne, a detached, outsider symbol of reality. Then there’s the aspect that they always meet in someone’s dream, whether Cobb’s or Fischer’s. Lastly, Mal stabbing Ariadne is the first time they meet. If that’s not interaction, I don’t know what is.